Settled in the heart of Cedar Cottage, this generously proportioned front-and-back duplex boasts a contemporary west-coast design, complete with a mountain view. Designed by the renowned Victor Eric Design Group and built by duplex specialist PD Moore Homes Inc., this duplex's main flr has a sleek & stylish kitchen that flows into the spacious dining and living area, and powder rm. The front unit also has a unique work space, while the back unit opens up to a private cedar deck & lush yard. Both units are perfect for entertaining. The upper flr is complete with 3 bdrms, 2 full bthrms, and an open den, which could easily be converted into a fourth bdrm. 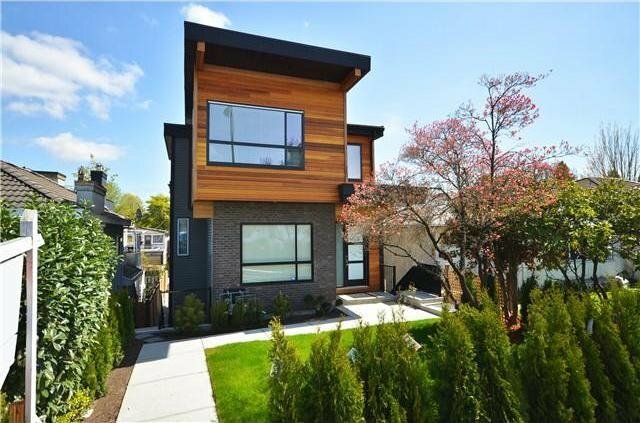 This high-quality, modern duplex is ideally positioned.